By Ashutosh KS in Desktop. Updated on June 13, 2017 . While the Operating System (OS) is the most important system software powering the gadgets and devices we find under our fingers daily, we’re mostly familiar with the regular few: Windows, Mac OS X, Linux, and for mobile, iOS, Android OS, Windows OS, Blackberry OS, Symbian, Bada etc. But outside of these usual suspects there are many more operating systems – big, small, easy, difficult, for general or very specific uses. Here’s 8 not-so-known operating systems you might find interesting. These operating systems, though unknown to many, are unique and amazing software. If you cannot install any of these OS you can try them with a flash drive or via a virtual environment using VirtualBox or VMWare, which you might after you find out what they have to offer. 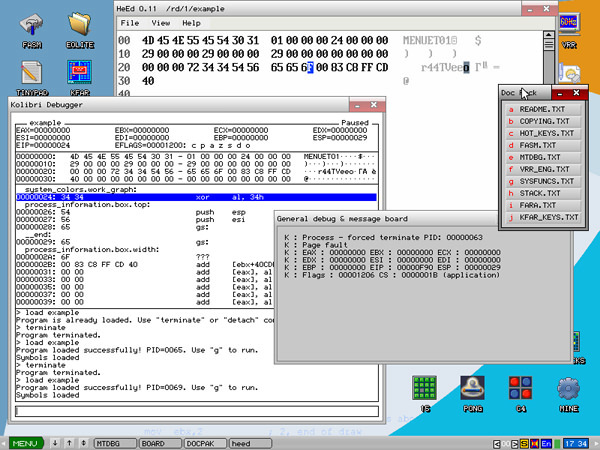 Kolibri is the smallest GUI operating system. It was forked off from MenuetOS. Written completely in assembly language, it is available in two versions: 1.44MB with essential features and 3MB with additional features. Despite being small enough to fit in a floppy disk, Kolibri is a complete and working graphical user interface. Kolibri can be booted using a floppy disk, optical disc, flash drive or hard disk drive. It can read many file systems including FAT32, NTFS, and EXT3/4. It has applications for all basic computing tasks, such as text editor, email client, HTTP client, etc. Slax is a modern, live, pocket operating system based on Slackware Linux. Despite its small size of 220MB, it contains essential apps for basic computing, and you can extend its functionality using modules. Users can open a module (out of hundreds available e.g. Firefox, Libre Office) and the software will installed automatically. Being a live operating system, it can run directly from the portable drive without the need of installation. You can just plug in your flash drive (with Slax on it), configure system’s BIOS to boot from the flash drive and voila, Slax boots up. It even features persistent storage, which means your data and preferences get saved in the flash drive, and are loaded automatically upon the next run. Ubuntu, the most popular desktop Linux distribution, is now available for phones under the name of Ubuntu for Phones, on top of Ubuntu for tablets, Ubuntu Server edition and Ubuntu Desktop. One of Ubuntu’s innovative features is that developers can write one app for all Ubuntu devices, which will be available via the Ubuntu Software Centre. 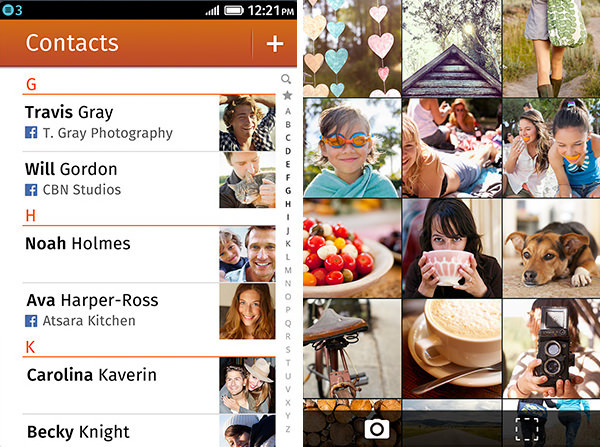 Ubuntu for Phones focuses on content rather than controls. It is designed to make your phone content easier to access – every edge of the screen has a specific purpose, making all your apps, content, and controls instantly accessible. ReactOS is a free and open source replacement for MS Windows, and is designed on the principles of Microsoft’s powerful NT architecture. Its kernel is written from scratch, and it is based on WINE. It supports many of Windows drivers, and is able to run many of Windows software, on a GUI similar to that of Windows XP/2003. 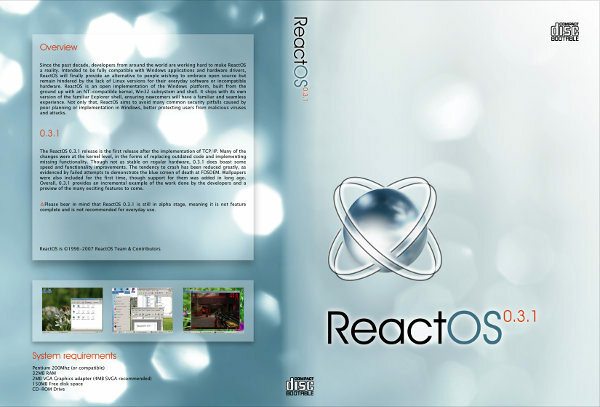 Though ReactOS is actively developed and maintained, it is not yet as functional as newer versions of Windows, such as Windows 7 or 8. Then again, ReactOS Foundation’s goal is basically to create a fully functional and compatible Windows replacement, which is open and free for the people. Samsung relies heavily on Android for its smartphone market share, but it’s trying to find alternative options. While it has the Bada OS, there are plans to replace the mobile OS on their smartphones with Tizen OS, an open source and standards-based software platform. 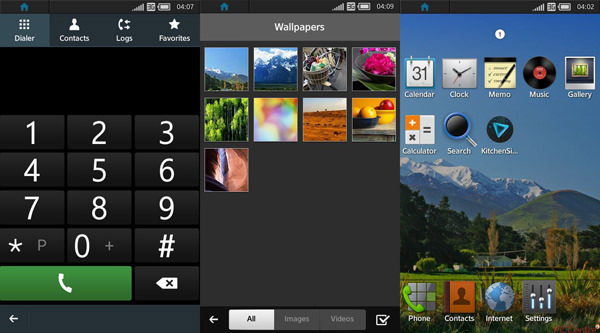 Tizen offers an innovative OS, applications, and user experience via flexible and powerful development environments based on HTML5. Its smartphone technologies provide 3D window effects, multi-tasking, multi-touch, sensor and location-based service frameworks, and support for multiple screen resolutions. 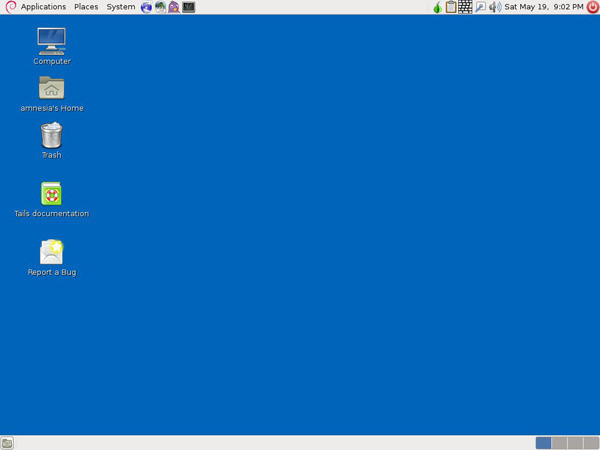 Tails is a Linux distribution based on Debian. Tails stands for The Amnesic Incognito Live System, and can be run (without installation) from portable mediums such as optical disks and flash drives. As it is run entirely in the computer’s RAM, all files and browsing history is automatically erased once the system is turned off (amnesic). Aimed at preserving your privacy and anonymity while browsing, Tails implements many security tools, including the Tor anonymity network, and cryptographic tools to encrypt and secure your files, email, and instant messages to protect your private information, including your identity (incognito). 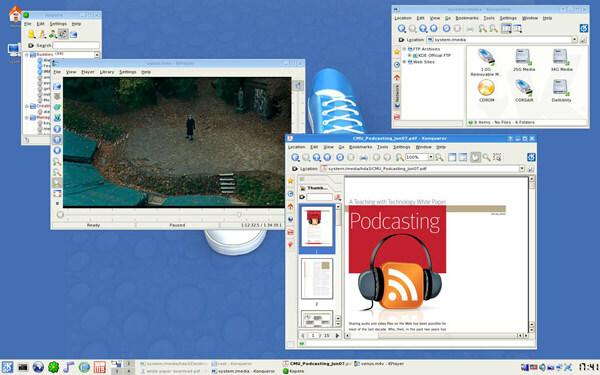 Qubes OS is based on Xen, X Window System and Linux. Qubes provide hardened security using the security-by-isolation approach, creating many security domains, which are implemented as lightweight Virtual Machines (VMs). These domains have their own set of security restrictions, isolating one domain from the next. So if you separate your browser from your sensitive work data, a hacker or malware would not be able to access your information even if it has compromised your browser, thanks to the isolated domains and strategic compartmentalization. 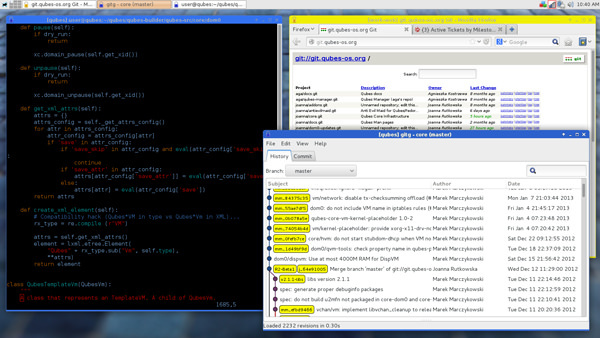 That’s the beauty of the security implementation of Qubes OS.